Da Zhane' Sinclair says the University of Illinois Springfield “feels like home” and the friends she’s made on campus are like family. Sinclair, a senior accountancy major, is a resident assistant (RA) on campus and mentors fellow first-generation college students as part of the Necessary Steps Mentoring Program. “I enjoy being an RA because I am a people person, so communicating with people and helping them is why I became an RA,” she said. As an RA, Sinclair regularly plans social events to help her fellow students feel welcome. She recently hosted the “Sip and Craft” event where students living on campus over the summer and Summer Bridge Program students came together to make crafts using boards, nails and yarn. Sinclair, who is from Chicago, attended a charter high school where she got individual attention from teachers on a smaller campus. At UIS, she feels she’s getting the same level attention. “Like my charter school, I can communicate with my professors here and build relationships. It’s like a family,” she said. Being an RA has taught her many lessons about communicating with others, crisis mediation, event planning and budgeting for events. Following graduation from UIS, Sinclair would like to open her own non-profit that helps women and children. She feels well-prepared by her UIS education. Adriana Crocker, professor of political science at the University of Illinois Springfield, has co-edited a new book titled “Gender Quotas in South America’s Big Three: National and Subnational Impacts” with Gregory Schmidt, professor of political science at the University of Texas at El Paso and Clara Araújo, professor and researcher at the University of the State of Rio de Janeiro. The book focuses on gender quotas in Argentina, Brazil, and Peru. Since the return of democracy to Latin America, policies intended to promote the inclusion of women and other underrepresented groups have been increasingly adopted in the region. In particular, gender quotas have been one of the most popular and effective mechanisms employed in elections and other contexts in Latin America. 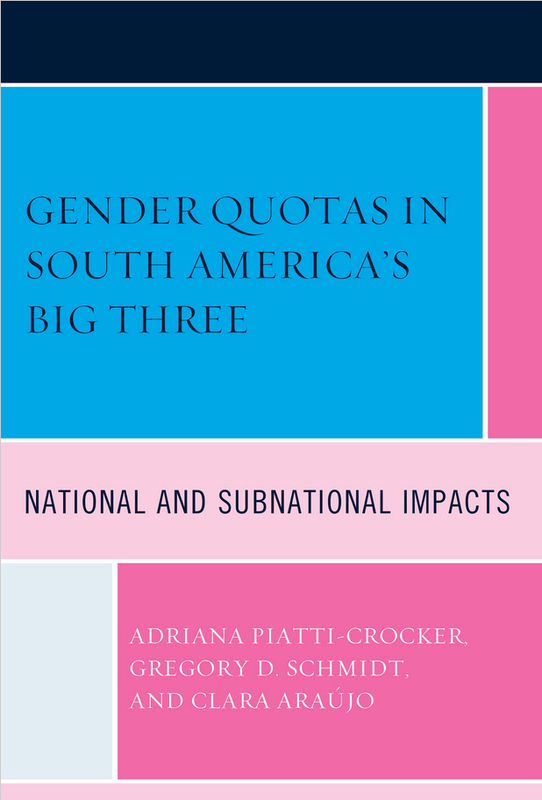 In the book, Crocker and her co-editors explore quotas at both national and subnational levels, and compares and contrasts the experiences of gender quotas in these Big Three countries of South America (by area) with respect to their adoption and their impacts in terms of both descriptive and substantive representation. This book also deals with current trends in quotas, including parity systems in Latin America, and explores the prospects for parity adoption in Latin America. “Overall, this book presents three South American case studies of quota systems, expands on the literature regarding the impacts of gender quotas, and examines the prospects for the political representation of women in the national and subnational legislatures of Argentina, Brazil, and Peru,” said Crocker. The book was published by Lexington Books and can be purchased as either a hardcover or an electronic book from various retailers including Amazon, Barnes & Nobles and Google. For more information, contact Adriana Crocker, UIS professor of political science, at 217/206-8329 or acroc2@uis.edu. 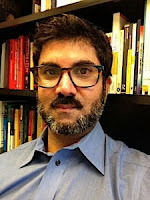 Riaz Tejani, an assistant professor of legal studies at University of Illinois Springfield, has written a new book called “Law Mart”. The book was published by Stanford University Press and released on July 18, 2017. In the book, based on extensive field research and interviews, Tejani argues that the rise of for profit law schools shows the limits of a market-based solution to American access to justice. Building on theories in law, political economy, and moral anthropology, Tejani reveals how for-profit law schools marketed themselves directly to ethnoracial and socioeconomic "minority" communities, relaxed admission standards, increased diversity, shook up established curricula, and saw student success rates plummet. Tejani explores whether there is a need for protections that better uphold institutional quality and sustainability, while offering an unprecedented, in-depth glimpse of this landscape. The book is available for purchase from Stanford University Press, Amazon, Barnes & Noble and other websites. For more information, contact Riaz Tejani at 217/206-6561 or rteja2@uis.edu.